Sigalas winery sets the bar high for Assyrtiko variety. This wine is a balance of rounded citrus, crisp sea salt and sparkling minerality. Zesty lemon, minerals and sea salt on the nose lead into fresh, balanced citrus fruit and spice on the palate. 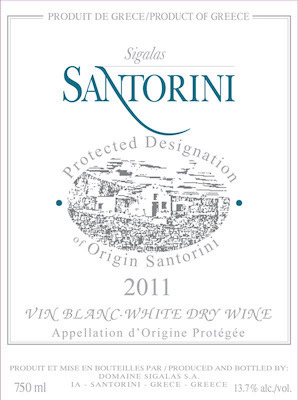 Delicious with grilled fish, fruit or alone on a hot day, this is an elegant gem of a white wine that represents some of the best of Greek wine offered today.